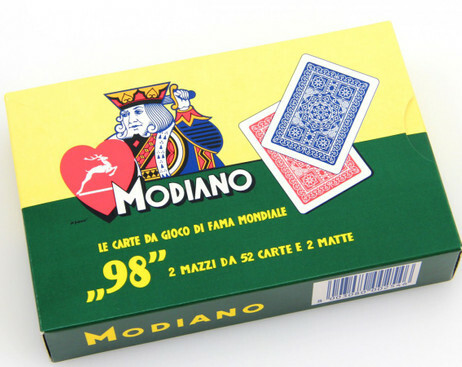 Italian - carton Double deck. 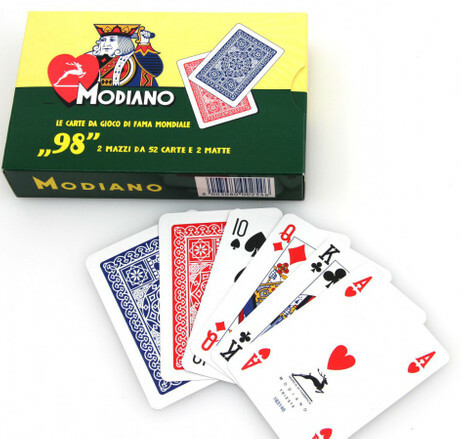 2 x 52 cards + 4 jokers + 2 extra cards, internationla face, playing cards. 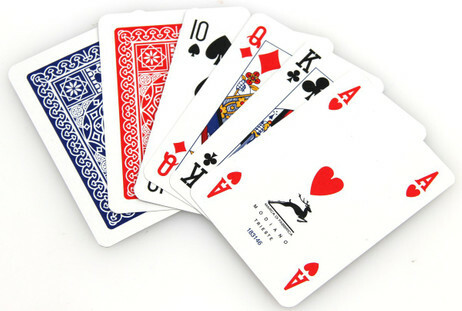 Size: 88 x 63 mm, 4 index.